¡Hello, Team! 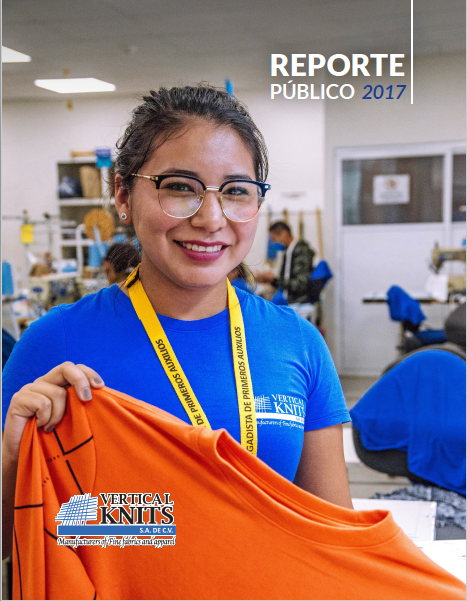 As part of Vertical Knits’ commitment to transparency in its sustainability performance, we share with you our 2017 Sustainability Report. 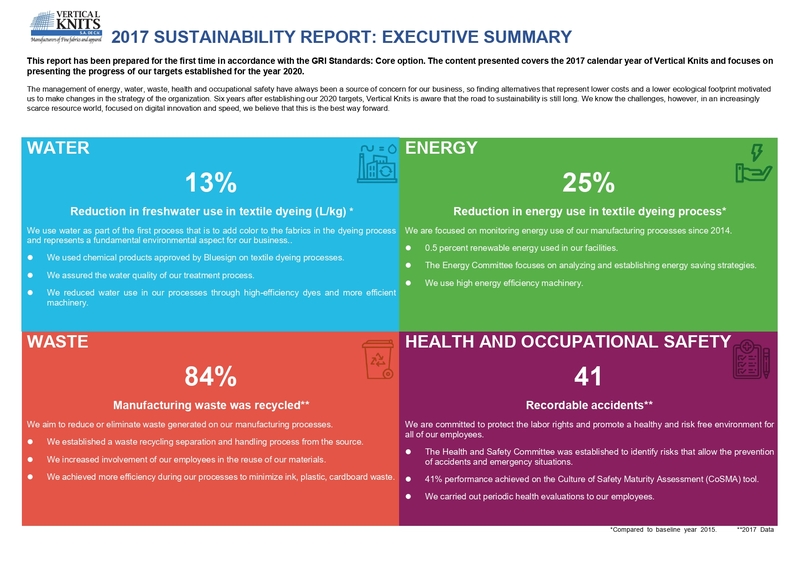 It is the first time that we release a sustainability report in accordance with the GRI (Global Reporting Initiative) Standards, which represent the best practices at a global level to publicly inform the economic, environmental and social impacts of an organization. The release of sustainability reports based on these Standards provides information about the positive and negative contributions of the organization to sustainable development.